The gaming notebook is powered by an 8th-gen Intel Core i7 processor and an NVIDIA GTX 1060 video card. The Odyssey Z is powered by an 8th Generation Intel Core i7 processor along with up to 16GB DDR4 of RAM and up to 1TB SSD (NVMe PCIe) storage. The market for gaming laptops has been always bustling with interesting products. 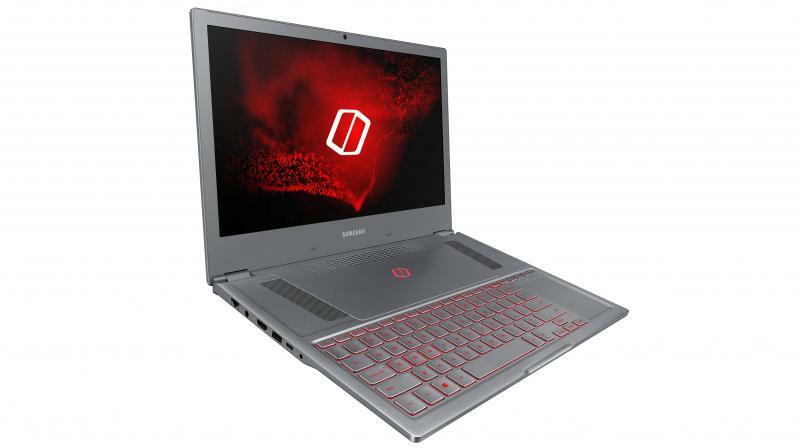 Samsung, a name known primarily for smartphones and televisions, has brought out the Odyssey Z gaming laptop for the Chinese and Korean laptop. The Odyssey Z is a Windows 10 gaming laptop with midrange specifications. The Odyssey Z is designed with Samsung’s custom thermal management hardware — it’s inbuilt Z AeroFlow Cooling System consists of three key components: the Dynamic Spread Vapor Chamber, the Z AeroFlow Cooling Design and the Z Blade Blower. The laptop weighs approximately 2.4Kg. The Odyssey Z is powered by an 8th Generation Intel Core i7 processor along with up to 16GB DDR4 of RAM and up to 1TB SSD (NVMe PCIe) storage. The Odyssey Z has been equipped with an NVIDIA GeForce GTX 1060 graphics with GDDR5 6 GB graphics memory. It sports a 15.6-inch full HD display. When it comes to connectivity, the Odyssey Z features 1x USB-C, 2x USB 3.0, 1x USB 2.0, 1x HDMI, HP/Mic and DC-in ports. There are two 1.5W speakers for managing the audio requirements on the laptop. Samsung has also built-in a backlit keyboard and what Samsung claims a Precision Touchpad. Samsung hasn't unveiled the prices for this laptop yet, but expect it to priced on par with other midrange gaming laptops from several renowned brands. Malaika Arora's underwater bikini pic sets internet on fire; courtesy Arjun Kapoor? Kriti Sanon to star in this Marathi film's Hindi remake based on surrogacy?